Oat allergies are gaining more attention as people transition to a gluten-free diet. Oats are regularly grown and processed next to wheat and other grains that contain gluten. For this reason, those who suffer from a gluten allergy might be allergic to oats as well. Other than cross-contamination, people can react to the protein in oats call avenin. Avenin is similar to gluten in wheat and causes the same allergic reactions. Oat proteins act as both respiratory and skin allergens. Symptoms of this allergy range from mild to severe and can often be delayed. In some cases, symptoms of an oat allergy can lead to allergy-induced anaphylaxis. It’s important to seek treatment immediately if you experience any of the symptoms above. While waiting for a diagnosis, refrain from eating or touching anything with oats to prevent an oat allergy reaction. We understand that navigating through this allergy can be difficult, so we provided an oat allergy food list containing products you need to avoid. Oats can also be hidden in some foods. Read labels thoroughly on all packaged foods. If necessary, consult with a dietician about a proper diet plan. They can recommend alternatives to oats such as ground flax, rice bran, quinoa flakes, or chia seeds. However, you should visit an allergist first for a full food allergy panel screening. Oat Allergy testing involves a food challenge to accurately diagnose your allergy. An allergist must determine if you have the allergy due to cross-contamination of gluten or if you are truly allergic to the protein, avenin. During this challenge, you will be asked to consume a small number of oats to see if it evokes a reaction. There are gluten-free oats that will not cause a reaction if you are just allergic to gluten. If you have a true allergy to oats, you will show a reaction to the gluten-free oats. If you’re at risk for a severe allergic reaction to oat, your food allergy doctor may opt for an oat allergy patch test. For allergies related to gluten, eating gluten-free oats will prevent an allergic reaction. For allergies related to protein, it’s best to avoid oats completely. Like any other food allergy, it’s important to carry an epinephrine auto-injector. Severe reactions can happen at any moment and you need to be prepared. Mild symptoms can be treated with over-the-counter or prescription medications. Antihistamine pills work best to soothe your itchy mouth and skin. Inhaled corticosteroids treat breathing problems and other asthma symptoms. Can Oat Allergy Occur In Infants? It is rare, but oat allergy can occur in infants. There have been cases in which babies experienced allergic symptoms after eating a cereal containing oats. 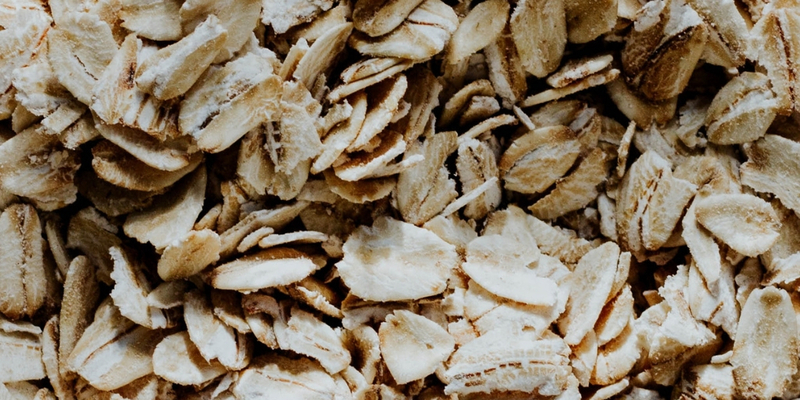 What’s The Difference Between An Oat Allergy and An Oat Sensitivity? An oat allergy involves the immune system. It’s when the immune system registers the oats as harmful and creates an allergic reaction. An oat sensitivity involved the digestive system. It’s when you can’t properly digest oats. Oat allergy cannot be cured. However, it can be managed with the help of your allergy specialist. Why Are People Allergic to Oat? Some people are allergic to oat due to a cross-reaction with gluten. Gluten can provide an oat allergy sensitivity when processed next to oats. Other individuals show an oat intolerance without a definite cause. Can I Be Allergic to Oat? Anyone can be allergic to oat. It’s important to visit a food allergy doctor for an oat allergy diagnosis. How is Oat Allergy Treated? Oat allergy is treated with avoidance. Mild oat allergy symptoms can also be treated with antihistamines. How is Oat Allergy Diagnosed? Oat allergy is usually diagnosed with a food challenge. However, your allergy specialist may diagnose it using other methods. If you’re suffering from an oat allergy, call the NYC allergists at NY Allergy & Sinus Centers for your personalized treatment plan. We work hard to diagnose and treat your allergies the same day. Feel better fast with just one phone call, (212) 686-4448. Book your appointment today!